Got a budding bad boy at home? 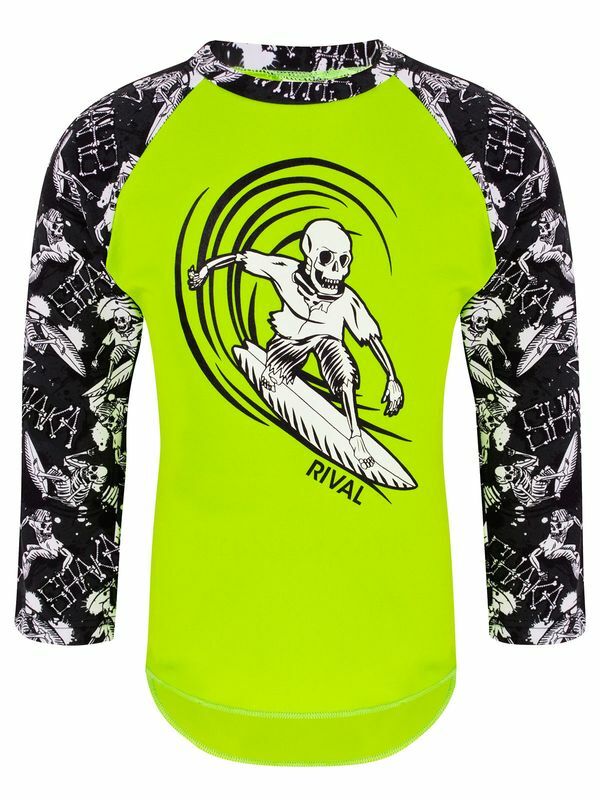 He is going to love the cool jet blackand lime greem Rival Shaka Boys Sun Top with surfer dudes on the front. This scary skeleton look will have him scaring the competition straight out of the water! And this look is frighteningly tough! The Rival Shaka Toddler Boys Sun Top is made with front lined Rival Resist chlorine resistant fabric that will ensure that these jammers stay looking as good as new through countless swim sessions.